The Single Father’s Guide to Life, Cooking, and Baseball is based, in part, on Branch Rickey’s quote, “Baseball is a game of inches.” If baseball is a metaphor for life, then, both figuratively and literally, life is also a game of inches in many ways. In other words, small improvements that are made consistently year in and year out will have significant benefits over the course of a season, or a lifetime. 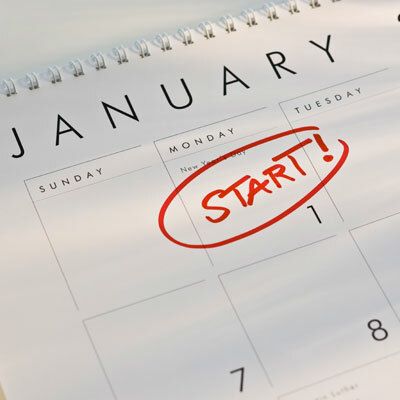 So, when you sit down this year to write your New Year’s resolutions, single dad, I strongly discourage including ill-defined and unachievable goals, like losing fifty pounds or earning $50,000 a year more. In their place, include items that can be both reasonably achieved and that will pay lasting dividends. 1. Give yourself a financial check-up: Take a look at the outflows of cash in your single father household, from insurance to mortgage to cable/telephone/internet to garbage removal. Using your checkbook (or virtual checkbook) register, list all of the vendors to whom you write checks every month. Then, shop your services. If you can save$50/month by changing your communications provider or $5/month by changing your trash hauler, both of which I’ve recently done, then you reduce your expenses by $600 and $60 per year, respectively! 2. Pick one unhealthy food you buy, and replace it: Maybe, as you walk down the snack aisle at the grocery store every couple of weeks and, out of habit, you grab a jumbo bag of Doritos. Then, you and your kids eat them. This year, rather than buying Doritos, you buy a jumbo bag of mixed nuts. While the cost per pound of snack may be more for the nuts, the nuts contain better nutrition and are more filling that the chips. As a result, you tend to eat fewer nuts than you would have eaten Doritos, so the nuts turn out to be less costly. In addition, you reduce your calorie intake by, maybe, 75 a week. Considering about 3,500 calories adds one pound of fat to the body, switching chips to nuts will save a pound a year! This works particularly well with exchanging sugary drinks with unsweetened teas, water, and other beverages. 3. Choose one activity you can share with your children: The benefits of a shared activity are two-fold. First, you connect with your children in a constructive, non-routine way, which I believe will facilitate communication as your children grow older. Second, you and your children exercise and learn something. Whether it’s hiking – the Adirondack Trail happens to pass very near my home, archery – an activity one of my sisters has chosen to do with her family, or even bird watching – which anyone can do just about anywhere, each of these and other activities provide the benefits of creating memories, building a common experiences, regular exercise, and continuing education. My children and I chose Taekwondo as our activity, as I chronicled in Tae Kwon Do and The Single Father, and we’ve been at it for nine years! It’s almost as easy as 1 – 2 – 3. Almost. 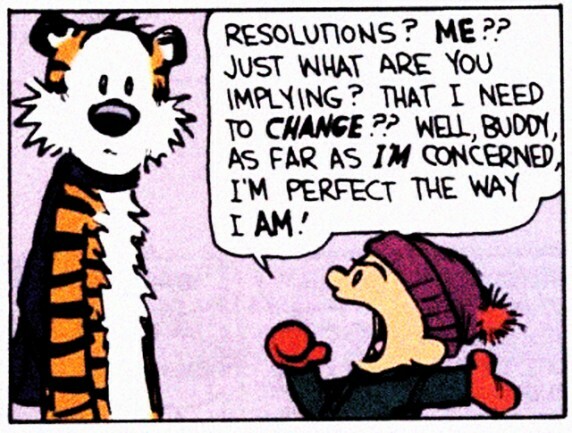 With this or any list of resolutions, it does take a little bit of effort by the single dad. It takes a little bit of time to shop around for a new communications provider or trash hauler or, if it makes sense, to refinance your home. It requires a little bit of discipline to pass up the Doritos and buy a bag of nuts. You’ll also need to make an effort to find an activity in which you’ll regularly participate with your kids. Once you get started, though, the benefits roll in like dividends from a trust fund. Obviously, the money you save the first month from the financial review is saved every month. You probably won’t add $50,000 to your bank account, but it your effort could certainly be thousands of dollars a year. As far snacking purchases, once you make the decision not to buy the chips, you can’t eat what you don’t have. Once you get home, it’s a “no lose;” You can’t eat what you don’t have. Finally, if you expend just 100 calories more each week as a result of a shared family activity, you’ll burn 5,200 calories in one year. That effort, coupled with the better snacking, will yield a loss of nearly three pounds of fat each year. Now, get started, but don’t do too much. Next year, when you’re three pounds lighter and have a few extra bucks in your pocket, we’ll kick it up a notch. In the meantime, Happy New Year. To make sure you're getting blog posts and news, check out Matthew S. Field's author page at Author Profile: Matthew S. Field and connect on Facebook at Matthew S. Field - Author and subscribe to The Single Father's Guide by adding your email address at the upper right side of this page. Where Are All The Single Ladies? Warwick Valley Living: "August Dream"